Tease all your senses: Sights, sounds, tastes, aromas.. The 7th Annual running of The Great Pennsylvania FlavorFest is about to begin.. Kick off the start of your summer with a favorite area tradition of sampling some of the area’s best wine and food offerings. On hand will be over twenty wineries, over fifteen food booths and more craft vendors to whet your appetite for fun! 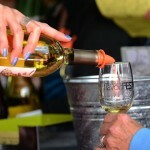 The fest takes place over the Memorial Day weekend at the Mt Hope Estate & Winery located in Manheim, PA and offers free admission and parking, as well as free wine sampling. Artisan crafts abound with a little something for everyone. Look for cooking demonstrations by regional chefs, culinary workshops along with sampling and sales of food and wine. A mix of entertainment is scheduled for this family friendly event..there is even a children’s section. Handicap parking is offered and handicap seating is available throughout.